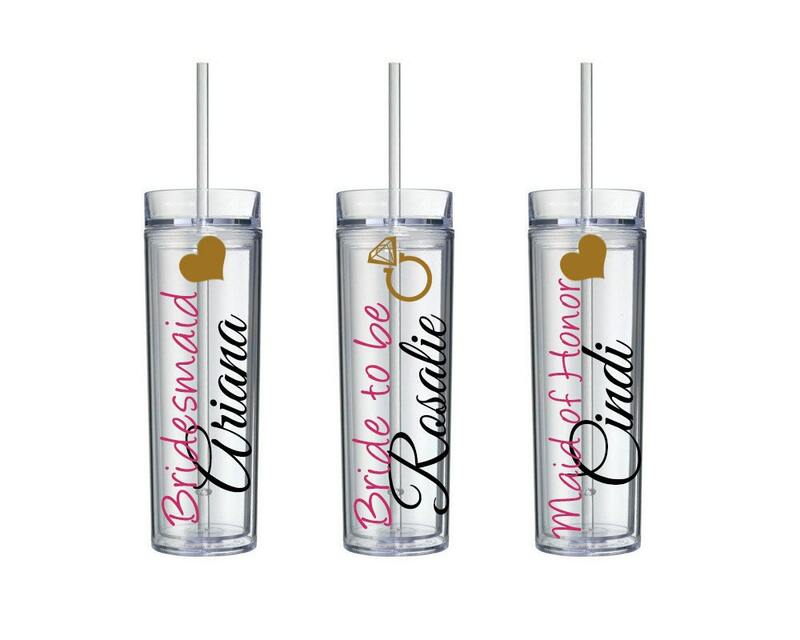 This personalized bridesmaid tumbler is perfect for a bachelorette party or the wedding party itself. Made with high quality outdoor vinyl, these double wall cups should last a long time! 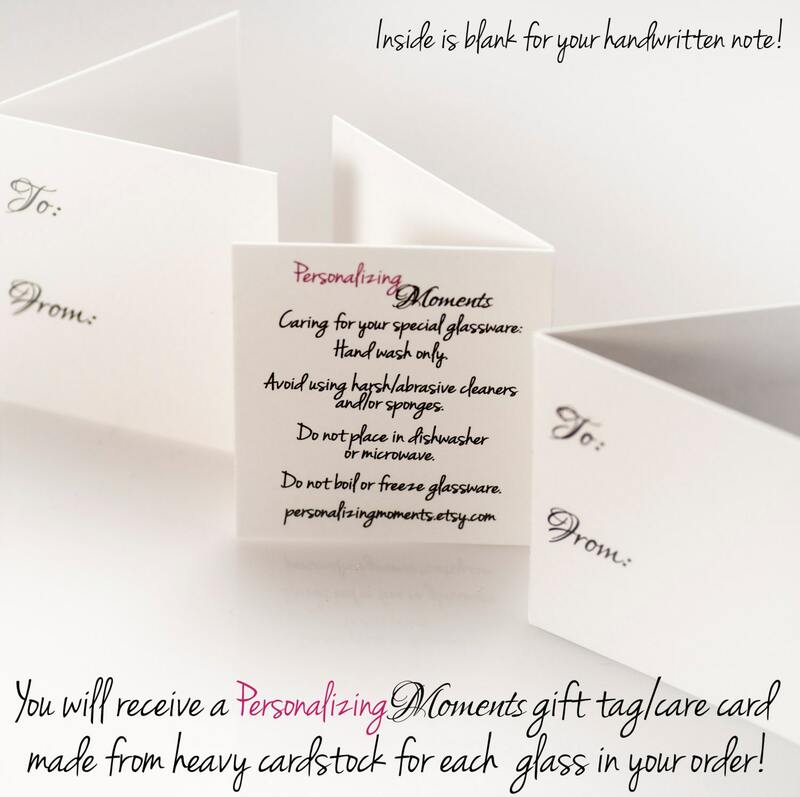 They make a great keepsake for the women who are there to support you on your day. BPA Free! Hand wash only. 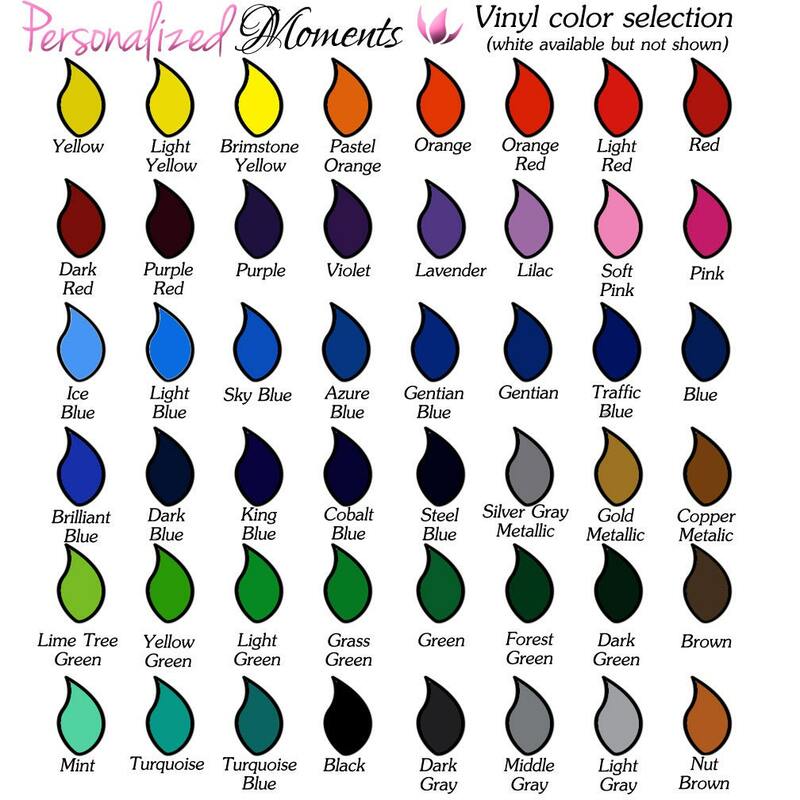 Holds 16 ounces of your favorite beverage and is created using high quality outdoor vinyl. Comes with lid and straw. Set of 5. 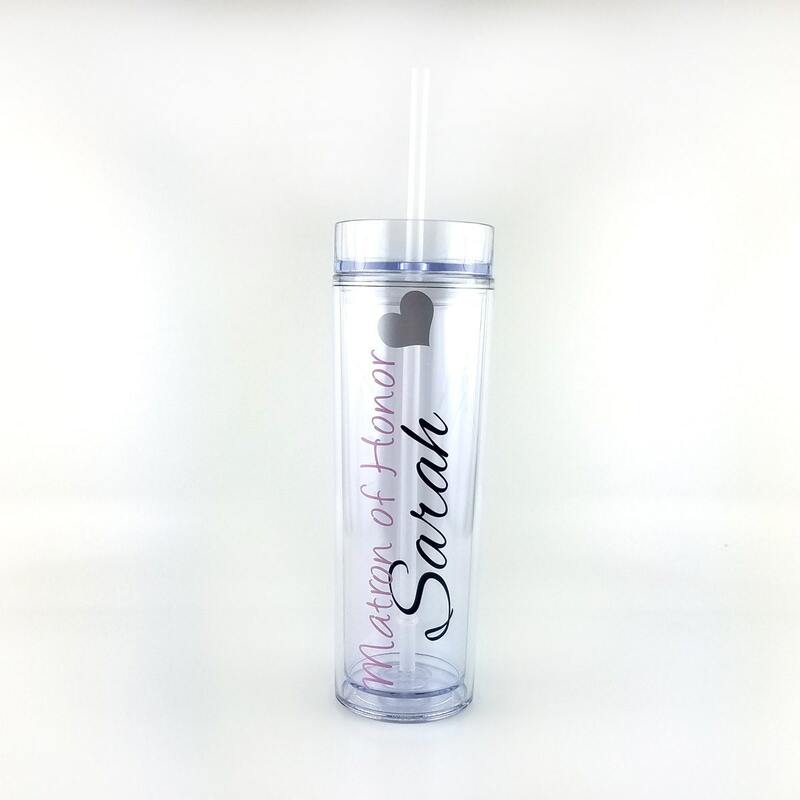 Care card/gift tag included with each tumbler you purchase. 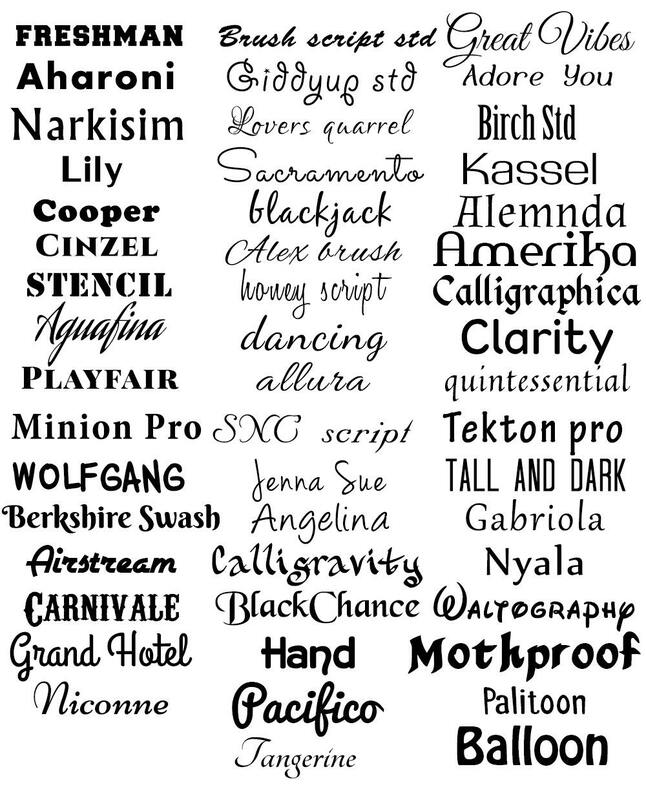 Copy the list below and include your color/font selections and name/date information for each tumbler in the message to seller during checkout (appears after you've added the listing to your cart) Display photo details included in parentheses in case you love the tumblers as they are.